Hi there guys. I feel like an idiot asking this question but on my ipad pro 10.5 i'm having a heck of a time trying to find out how to add new layers to my project with photos from my device. I know about the layer button in the upper right but i cant figure out how to import new photos to each new layer I want to add. Can someone please tell me how to be able to add multiple photos from my ipad locally to an existing project? 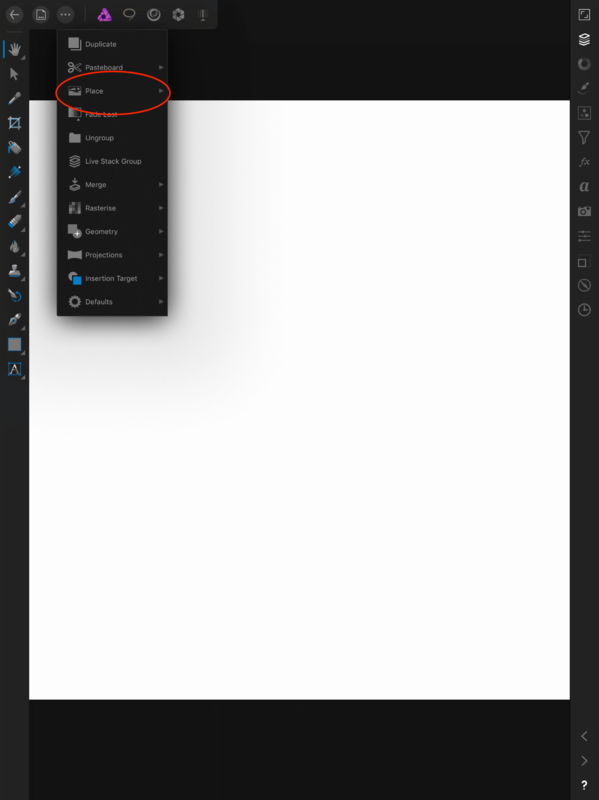 Feature suggestion.......why cant we choose an image that we already have in our library....not in photos...not in cloud....I already have it in Affinity.....Maybe a watermark...!! Use the pasteboard to copy from Affinity file to another Affinity file, easy when you know how. Hi, I’ve tried so many different approaches but how can I move a layer to back of main layer? What I’m specifically trying to do is add an image (a full person) to another picture but only have his head showing. Not sure what you mean by "main layer", there is no main layer in Affinity, it's a top to bottom model and "layers" can be moved around each other at will. Also you talk about adding photos to layers, everything you put in affinity is more of an object/layer that can be moved above or below other objects/layers. Have you watched the official tutorials as they are very good. However for a quick overview then I find this is probably sufficient to show you how to cut items out and paste onto other photographs.